The firm also provides representation in real estate disputes such as involving prescriptive title, color of title actions, material breach of contract actions, landlord-tenant disputes, and other matters. The firm also has connections to San Antonio Evictions, a property management and evictions firm that assists investors throughout the country. Time demands are always an issue when selling or buying commercial or residential real estate. Efficiency and speed are necessary to handle your real estate transaction. 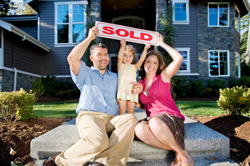 BLF will help navigate your real estate transaction so that it is in compliance with Texas laws. Baseluos Law Firm also assists mortgage lenders and real estate brokers by providing real estate transaction services, including secondary market closings, lender-borrower legal opinions, title searches, and mortgage originations. The firm also serves clients outside of Texas wanting to buy or sell real estate in the greater San Antonio area. A strategic legal solution at a cost effective price is the mantra of Baseluos Law Firm, whether your needs involve commercial leases or real estate litigation. Contact the Baseluos Law Firm today to discuss your options concerning your Real Estate matters.